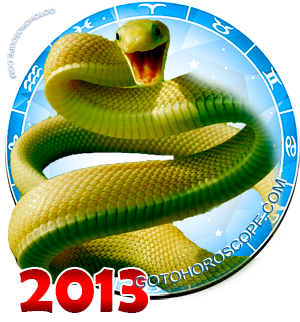 August 2013 Horoscope Aries, free Monthly Horoscope for August 2013 and Aries Astrology Forecast for the month ahead. For the Aries sign, August 2013 will be a time when risk will be as noble as it had never been before, and more importantly, it will be justified by actions. This situation will occur, firstly, because the Sun, the future "celestial leader" of the Fire trine, will not meet any planet as its direct opponent in the sign of Aries. 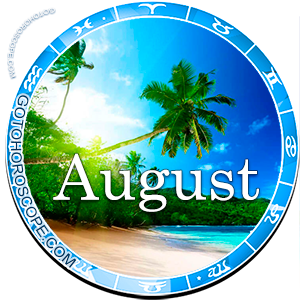 The Moon may take on this role, the planet exalted in the sign of Aries, but taking into consideration the solar effusions during the month of August there is very little change of that happening. Therefore, Aries can stay assured that some of the strongest celestial bodies in the Solar system will be on his side throughout this month. Thus, the Sun and the Moon can focus their positivity on the business aspect. In regards to this, the negative influence coming from Mercury will be minimal and completely insignificant. Aries should pay more attention to his personal relationships, where some serious problems may be waiting for him, caused by the companied negative influence coming from Venus and Mars. Strictly saying, Mars appears as the celestial ruler of the Aries sign, but its position during the month of August will be so negative, that most likely; the red planet will turn against its Earthly protege. Yes, and Venus, the one responsible for the "exile" of the Aries sign, also will not be wasting any time. 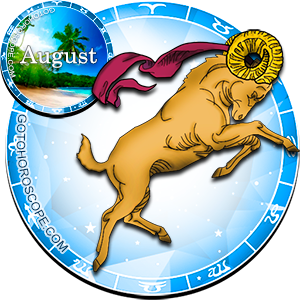 Thus, during August 2013, the Aries sign will have the biggest luck when it comes to the entrepreneurial aspect. At least, the position of the Sun and the Moon speak of this, blocking almost all of the influence coming from Mercury, as well as Saturn's neutrality, which is usually negatively predisposed towards the Aries sign. It turns out, that all cards of fate are truly in the hands of the representatives of this zodiac sign. As it was aforementioned, it is necessary to pay special attention to the risk. It may be that someone will get surprised, but sometimes it will be possible to estimate the risk. Think, analyze the situation and suddenly for everyone (colleagues, superiors, and competitors) put all of your savings on only one project. And even if this project does not inspire a lot of credibility, after a complex analysis and a skillful approach you will be able to turn its cons into pros. And what kind of pros! You should have no doubt that the stars will help you in that. Most importantly - do not hesitate to use your head. And do not be afraid of making mistakes, because the fear - is a stopping factor, and with him you will not be able to make a further progress. If necessary, take a loan or entirely trust those who you do not know very well. Currently many risky activities can be justified for you. Just believe in yourself and your abilities. However, if immeasurable benefits are being promised to the Aries sign in the finance area during the month of August, his love life will unfortunately dazzle with the appearance of a different plan. But the positive active energy of the sun will not spread out to this area of the life of the Aries sign. Yes, the Moon is not your helper in this situation; she will be busy neutralizing the risks appearing at the work place. This is why Mars and, above all, Venus will be happy to bring a lot of fights and large scale conflicts into your home. So in August, finding yourself in the ambient of your "family home", you will need to focus all of your attention on those family members whose mood will change more often and drastically, than with the other family members. At this time, these people will become something like "sparks", who will be able to start a lengthy chain of negative reactions "explosions". Concentrate and try to appraise these people within the first then days of the month. And if you succeed, then the rest, as they say, it will be just a technical matter! Be gentle to them and attentive, and when the time comes help them re-adjust to the positive waves. Do not hesitate, and after a certain amount of perseverance you will succeed. And even if you have to make some concessions, it will still be better than having to go through useless arguments that are capable of leading to some serious problems in the future.